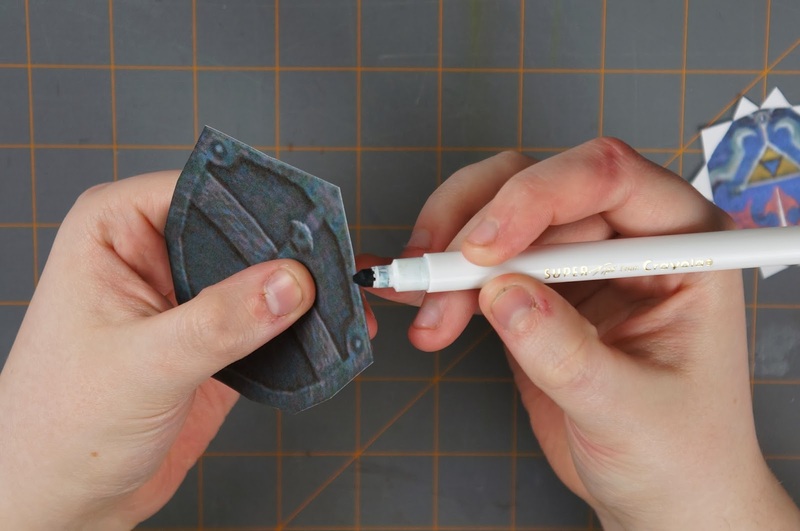 The first thing you're going to want to do is print out the template. 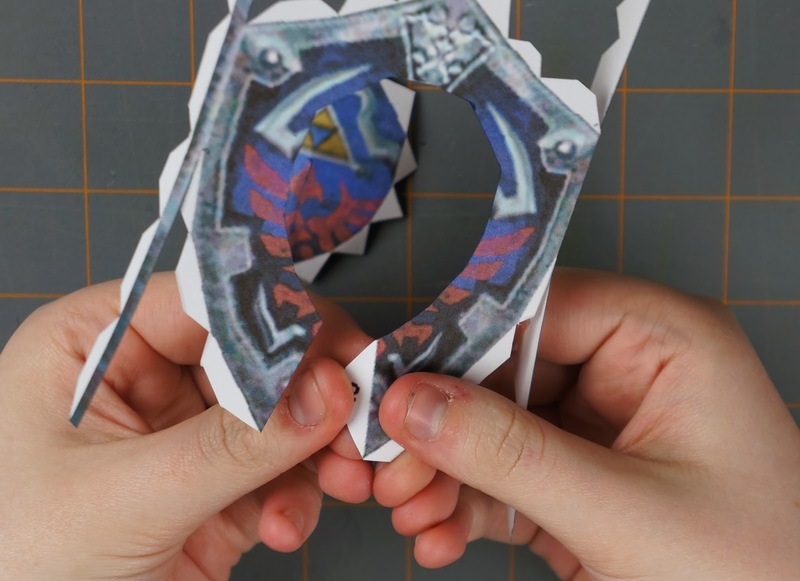 We've printed ours out on some card stock (thick paper) but any paper thickness will work. 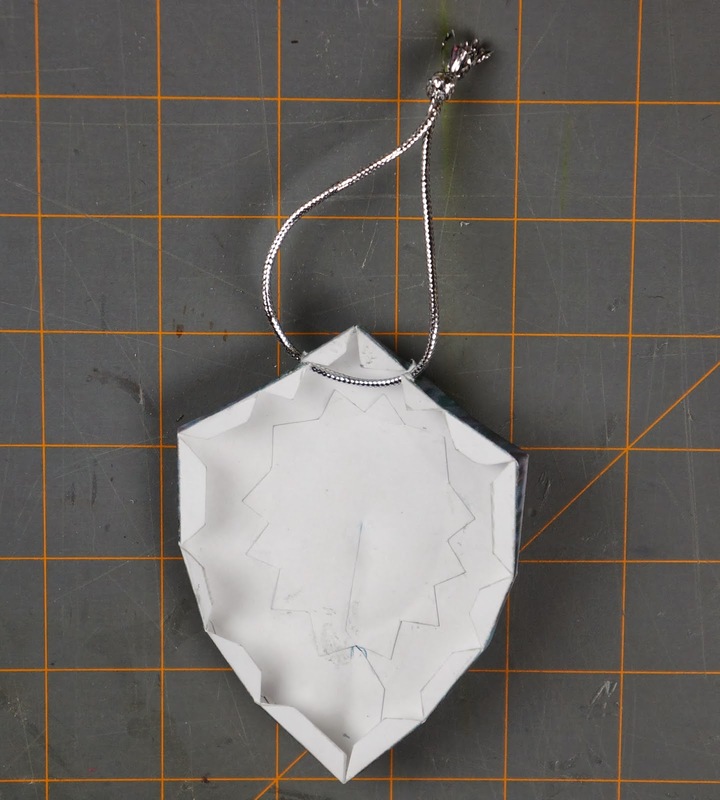 The thicker the paper, the stronger the ornament though. 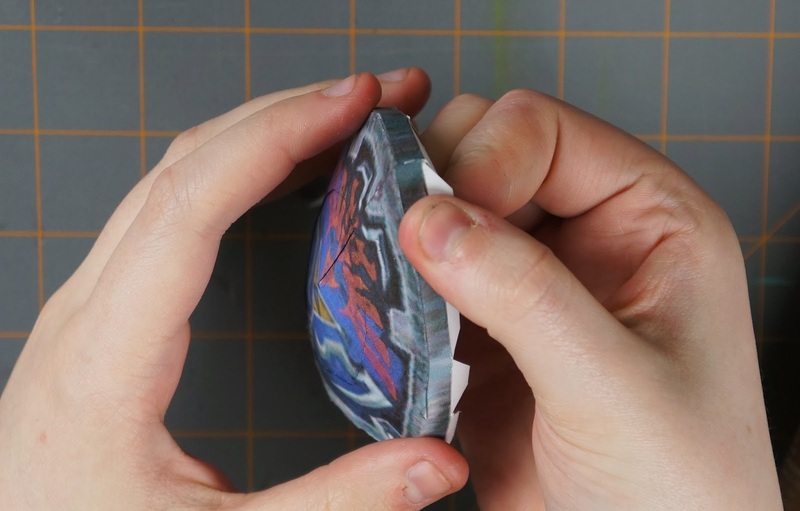 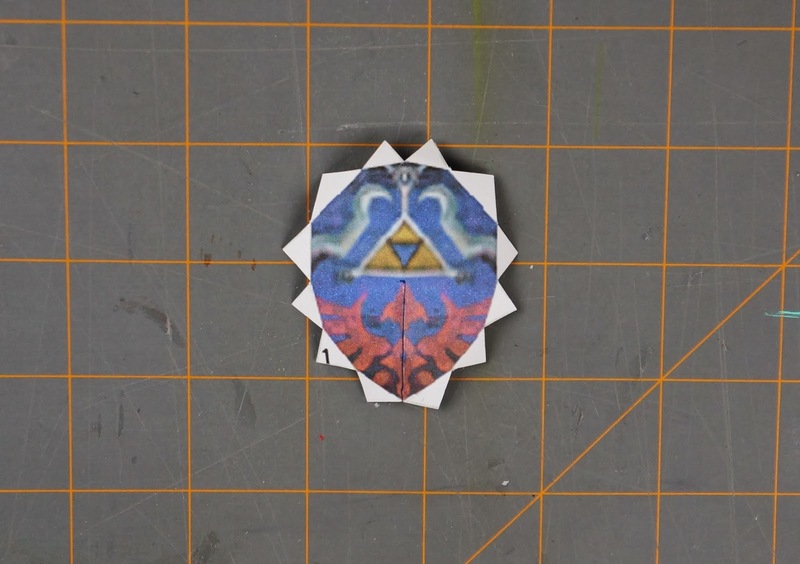 Once you have the template printed out, go ahead and cut out the 3 pieces. 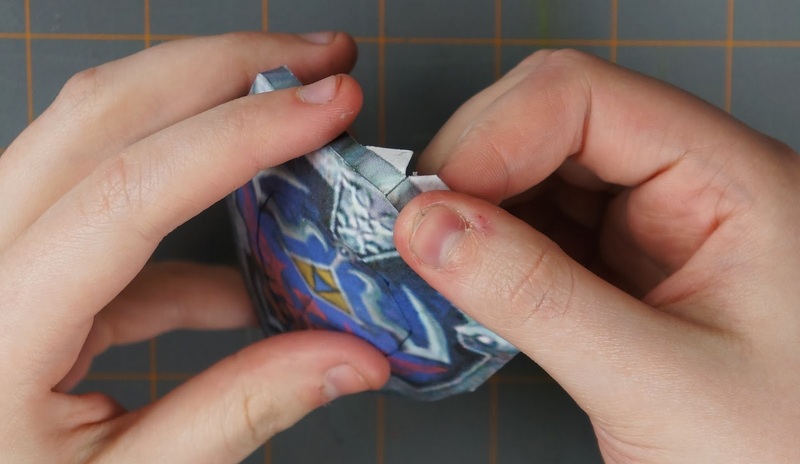 Then if you like, you can go along the edges of the pieces with a marker in the same colour. 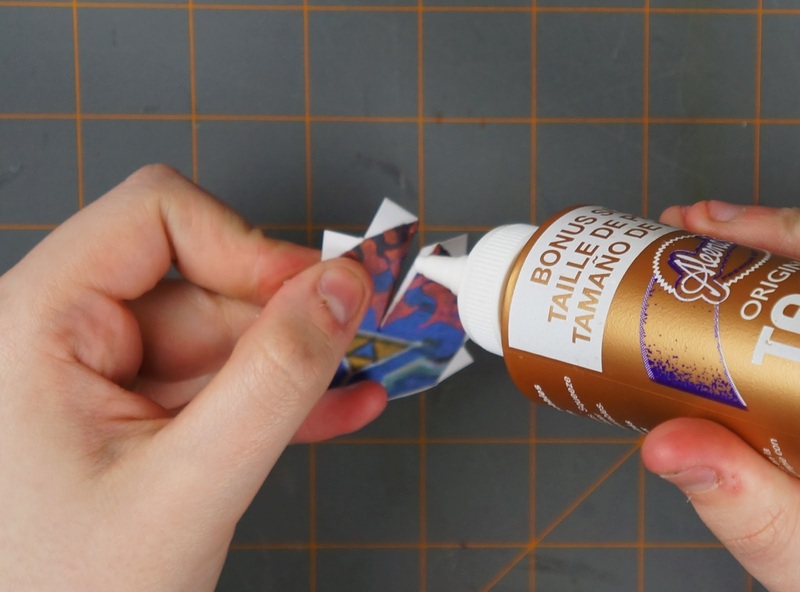 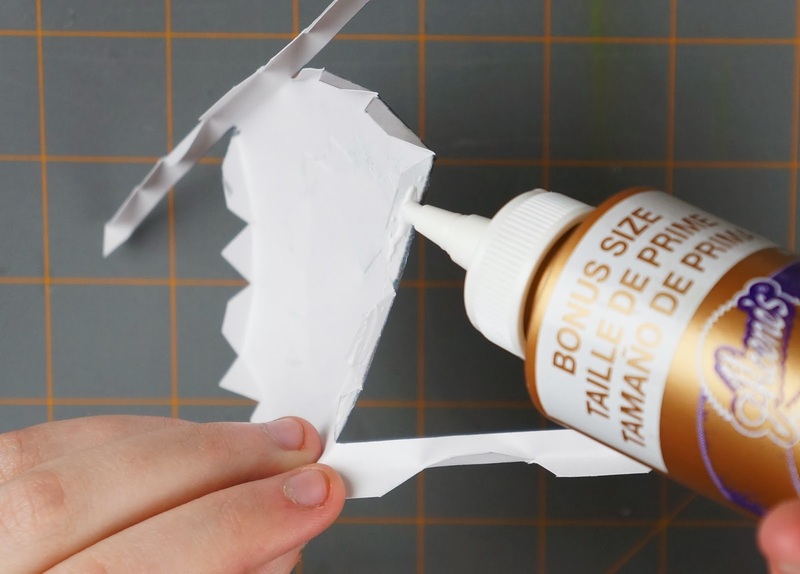 This will get rid of the white lines that you see when gluing pieces together. 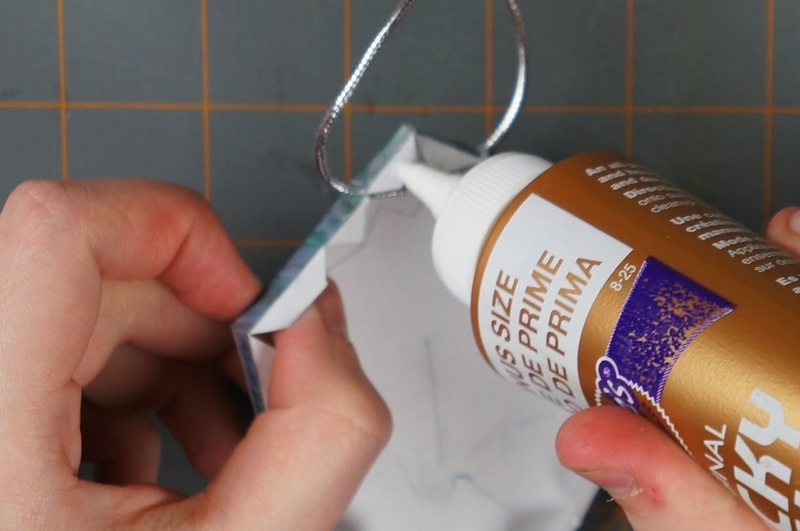 If you're using thicker paper, we recommend this step for a cleaner looking ornament. 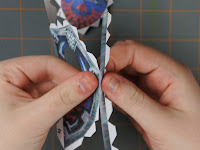 Start off with piece 1, bend all of the tabs downward slightly, then glue the tab that's down the middle of the piece to the other side. 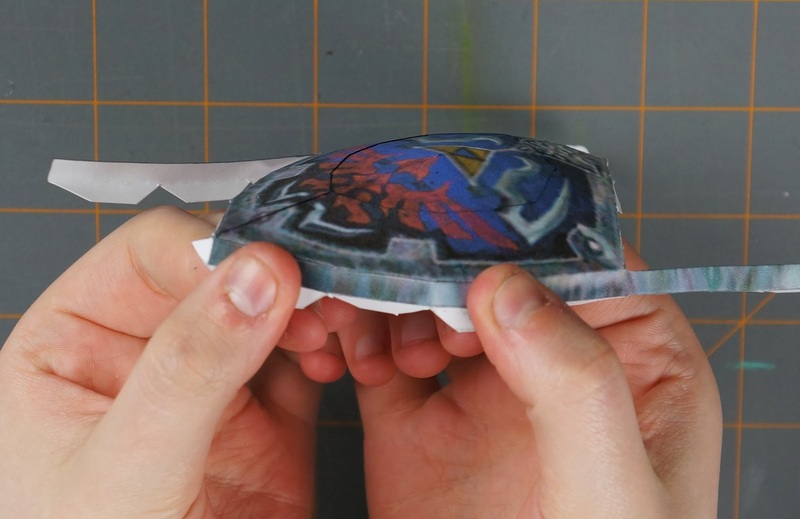 Take piece 2, and fold the strips along the edge of the front of the shield downward. Bend the tab that's in the middle of the shield (the one that has the 2 on it) down slightly, and fold the rest of the tabs along the front of the shield and the ones on the strips down as well. 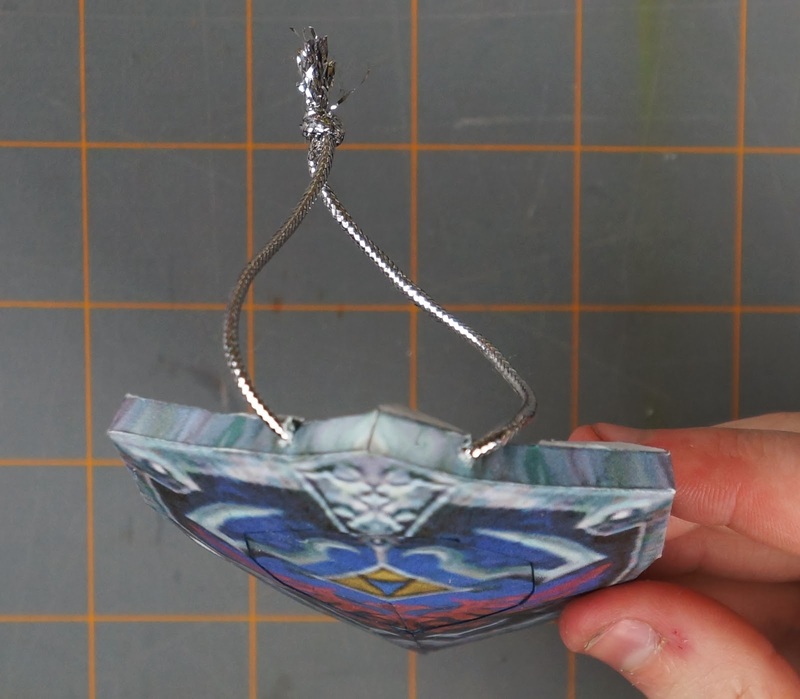 Now attach piece 1 to the inside of piece 2. Then glue the tab at the end of the middle to the other side of the front of the shield. 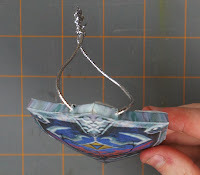 Now glue the strips to the tabs on the side of the front of the shield. Also make sure to glue the ends of the strips together where they meet at the top or bottom of the shield with the tab at the end of one of the strips. 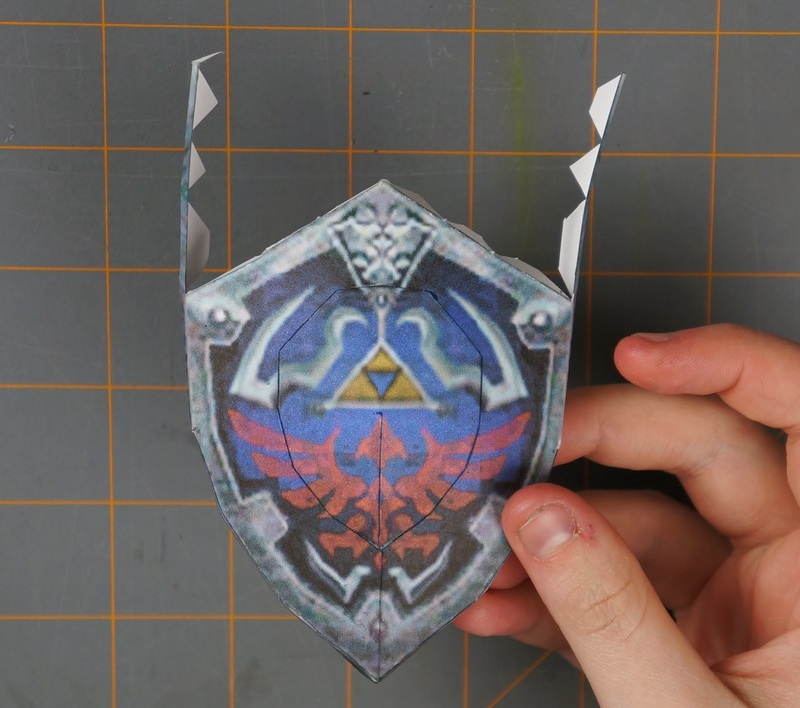 Take your scissors and poke 2 holes, one on either side of the upper side parts of the shield. 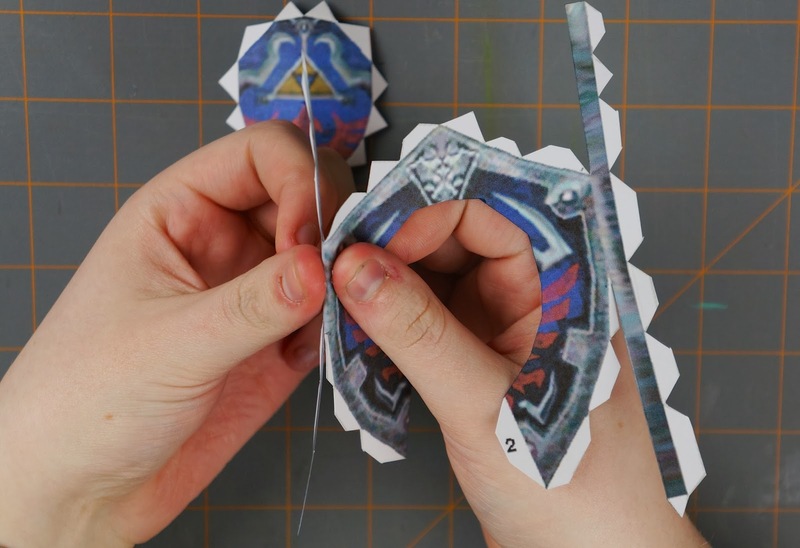 Then cut a piece of ribbon or string and thread it through the 2 holes, and tie the 2 ends together. 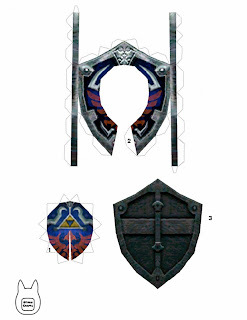 Now you can glue on piece 3 to the rest of the tabs on piece 2 to make the back of the shield. Once you have the back of the shield glued on, you can finish the ornament off with a finishing coat/spray if you like. 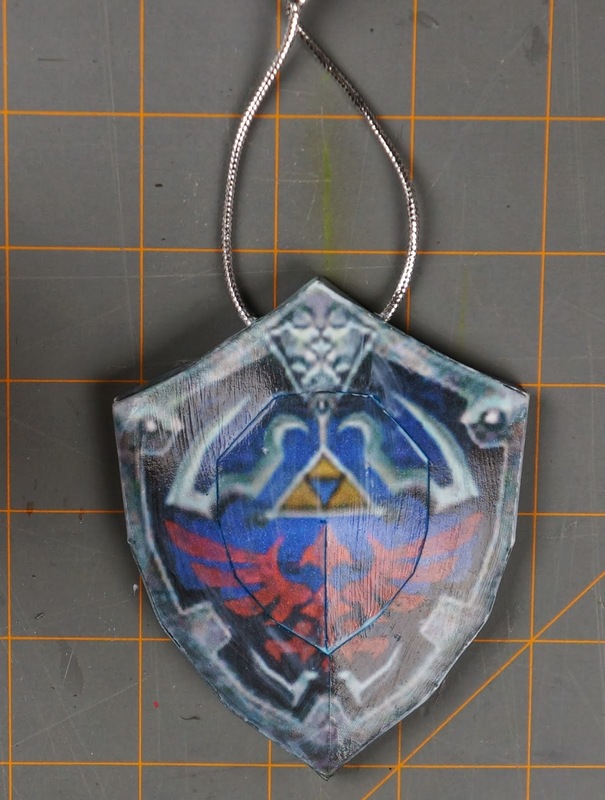 There you have your finished Hylian shield ornament! 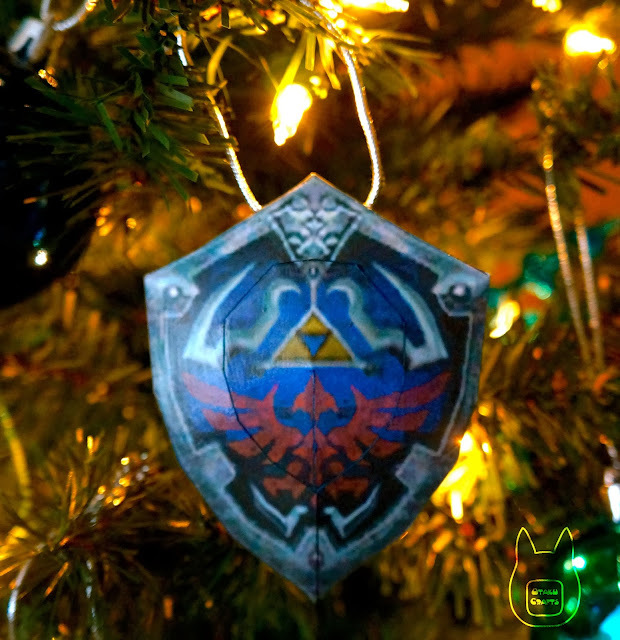 This looks like a great addition to the tree.